On last pumpkin recipe of the season for all of you who are still trying to plan your Thanksgiving menus. And this one will be a favorite. It’s still traditional while being unique and delicious. The recipe comes from my mom’s cookbook. Tt’s a big binder with all sorts of recipe clipping glued or wrote onto the pages. When I got married and moved out, one of my sisters copied each page and put together my own binder of recipes. That book has some of my favorite recipes and so many memories inside and I plan on sharing a few more of my favorite recipes from the book over the next month. A note yet on the Pumpkin Cheesecake Pie. This makes a big pie and the recipe calls for using a deep dish pie plate. Please don’t try attempt to use a regular one. I don’t want to ruin your Thanksgiving with a burnt, overflowing mess in your oven. 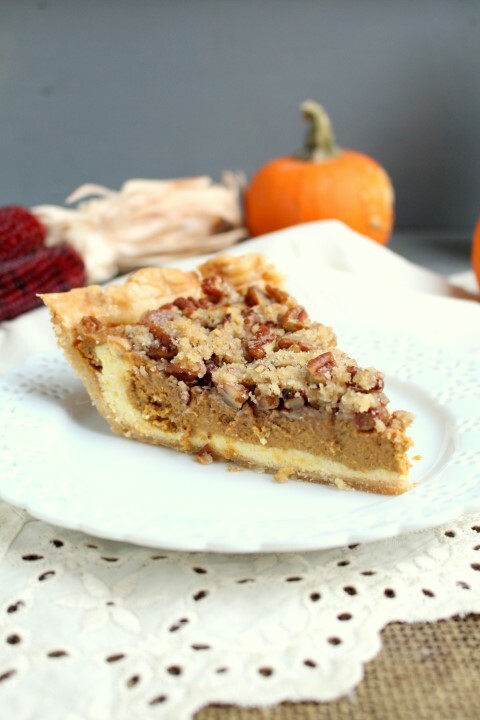 This Pumpkin Cheesecake Pie takes the classic Thanksgiving recipe up a notch. 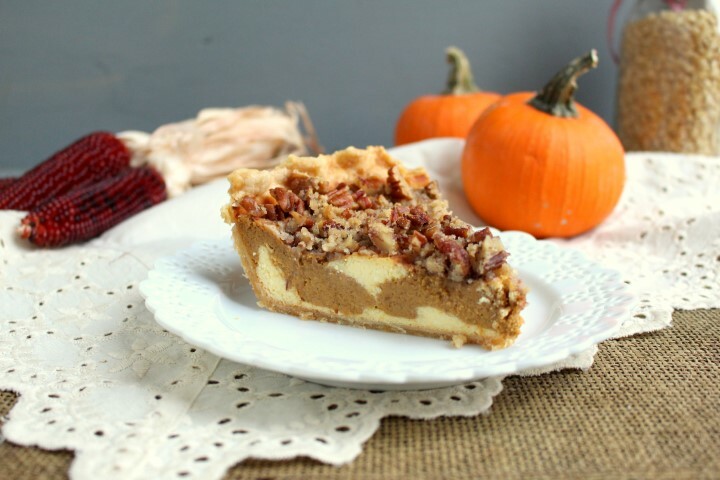 It features a layer of traditional pumpkin pie on top of a rich cheesecake layer. Plus it has streusel on top, pecan streusel. Which makes everything better. 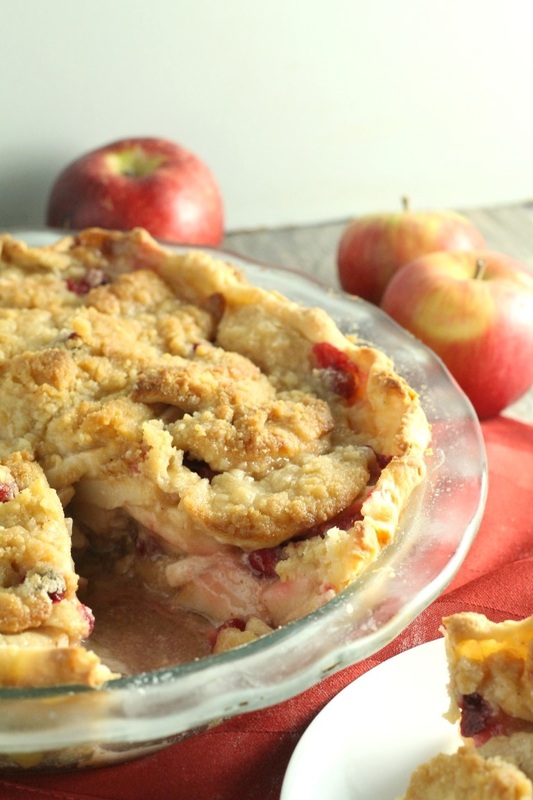 Using your favorite pie crust recipe, make a crust to line a 9.5 inch deep dish pie plate. Set aside. Preheat oven to 350 F.
In a separate bowl, stir together the pumpkin, half and half, 1/2 cup brown sugar, 2 eggs, pumpkin pie spice and salt. Spread the cream cheese mixture on the bottom of the pie crust and carefully pour the pumpkin mixture on top. Bake in the preheated oven, loosely covered with foil, for 30 minutes. Remove foil and bake for another 30-40 minutes or until the center is just set. Meanwhile, stir together the 3 tablespoons of brown sugar and flour. Cut in cold butter until crumbly. Stir in pecans. 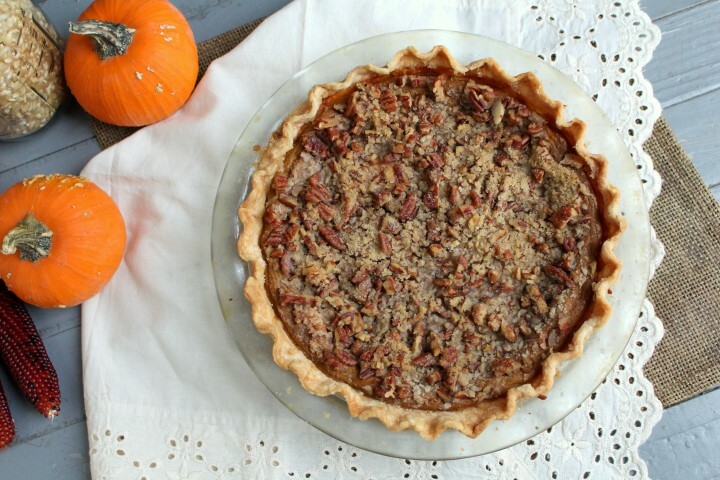 When the pie is just set, gently sprinkle on the pecan streusel and bake for another 10-15 minutes or until slightly brown. Remove from oven and cool on wire rack. Chill before serving. I’m loving the beautiful marbled look on this pie! Great idea! Mallory this looks so good! 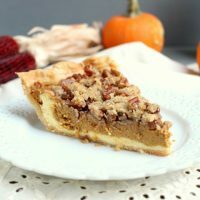 I just posted a roundup of Thanksgiving desserts and oh how I wish I saw this earlier! Pinning and sharing, and I would LOVE for you to link up with us on Thursdays at Your Turn To Shine! 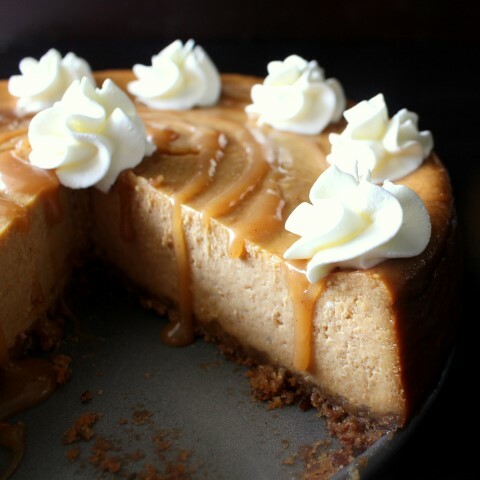 How much would it cost for you to make the struesel pumpkin cheesecake feeding a family of 8 before Thanksgiving? Honestly, I’m not sure, Denise. I’ve never sat down to figure that out.